BARELY six months into the job, Mr and Mrs Teo, like many others stallholders in Sembawang wet market, were told by their landowner to move out in a month’s time. With three mouths to feed –two children, one in polytechnic and the other doing ‘O’ levels and an elderly in the old folk’s home, the couple’s monthly income of about $500 provides just three meals a day. Since they could not obtain bank loans, borrowing money to set up the stall was the only way out. Their business was just picking up pace when the initial decision to be evicted came. “We didn’t sleep well for three days when we first received the news”, says Mr and Mrs Teo, who declined to be named. While relief came from the recent overturning of the decision by HDB to replace Sembawang wet market with a NTUC Fairprice supermarket on 11 October (see here), stall owners in other wet markets are not so lucky. Health Minister and MP for Sembawang GRC Khaw Boon Wan has publicly reassured residents of his efforts to retain the wet market environment. But Sheng Siong supermarket will still be replacing six other wet markets all over Singapore while air-conditioning some (see here). HDB has allowed the lease to be extended for three more years, but there is no telling if the averted disaster might strike with a vengeance once the lease ends. The Online Citizen asked a spokesman from HDB about which supermarket will be replacing Sembawang wet market, but he evaded answering the question by insisting that they were “still evaluating” then. It was, however, revealed in The Straits Times that the vendor was in fact NTUC Fairprice. 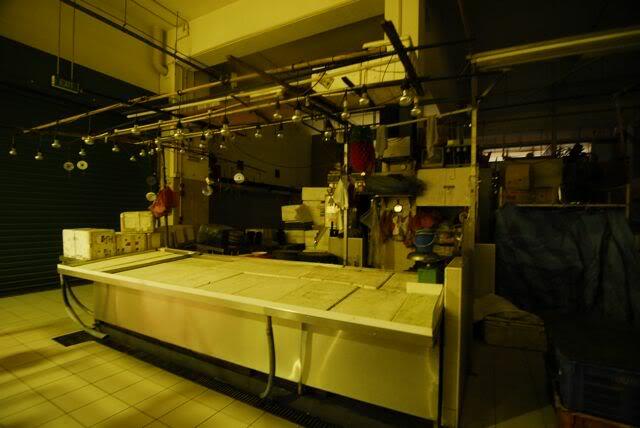 Nonetheless, HDB did tell the Sembawang stall owners that their decision to allow NTUC Fairprice to take over was partly due to “problems with its appearance”, says a fishmonger in Sembawang, who do not wish to be named. This “appearance problem” , however, is an important feature of heartlanders’ lives, one which everyone identifies with. The camaraderie that the stall owners and residents share can never be found in a supermarket despite its pleasant look. Yes, the eventual verdict for Sembawang wet market seemed to have mitigate worries for many, but Singapore is still stuck in a quagmire of financial uncertainty and stall owners in other wet market is facing this malapropos eviction. Mr Khaw did spare a thought for the residents, saying that their “interests will be preserved and protected.” But what about the stall owners? “I am the sole breadwinner, so are many of the others,” said the 55-year-old father of three who wanted to be known only as Mr Sherll in another interview with the Straits Times. This question seemed to be neglected by the landowner who claimed that she knew of Sembawang’s potential takeover by NTUC Fairprice two years ago. Yet, she continued to lease out these stalls without notifying the stall owners of the possibility of an impending eviction. Her decision has caused backlash from the stall owners. A Filipino stallholder who moved in barely two months ago, called the land owner a “cheater” whose friendliness is just a facade as “she just wants money.” The land owner till date has yet to return this stall owner her contract. Some other stallholders share similar sentiments, feeling disappointed in her. HDB had abided by the rules as the termination only came after the contract with the landowner had ended. But a caveat in the contract gleans starkly when the problem of eviction came — it is renewed monthly, such that to terminate the lease, there needs to be only one month notice. The stallholders received a letter stating the termination only on 18 September. It is necessary to upgrade wet markets to improve hygiene, but to wipe it out from the face of Singapore portends means that we would lose something dear to our hearts, raising a generation further adrift from their roots. The haggling for prices, the fishy smell, the jostling with people in the crowd, the slippery floor littered with rotten vegetables, all constitute what a wet market is, but above all these, a wet market is the heart of a heartland, irreplaceable and timeless. If the wet market disappears, memories of it would erode with time, and an “air-conditioned nation”, as Cherian George’s book title reflects, would unfortunately materialize.